The Orangeburg Country Sheriff’s Office in South Carolina lost one of their own on Saturday, May 3rd, when Deputy Sheriff William Howell Jr. was shot and killed while responding to a domestic disturbance. As Deputy Howell arrived to assist a female victim with removing clothing from a residence, her husband opened fire with a rifle striking the Deputy in the neck. As the suspect attempted to flee the home, he was run over and killed by his wife but not before Deputy Howell died from his wounds. 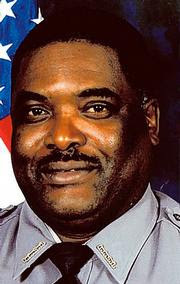 A three year veteran of the Orangeburg County Sheriff’s Office, Deputy Howell served in law enforcement for a total of 16 years having previously served as a jailer at the Berkeley County Detention Center, with the Moncks Corner Police Department, the Dorchester County Sheriff’s Office, and as an officer with the Jamestown Police. Deputy Howell, age 46, leaves behind his wife Michelle and three sons. 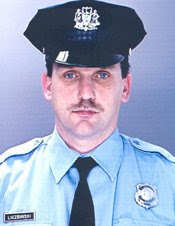 In a second Line of Duty death on the same day, Sergeant Stephen Liczbinski, a 12-year veteran of the Philadelphia Police Department, was gunned down following a bank robbery at approximately 11:30 a.m. Sergeant Liczbinski encountered the suspects and stopped their car but as he exited his patrol car, a suspect opened fire with an SKS carbine striking him several times. Several citizens who witnessed the shooting rushed to assist the fallen officer who told them “I want you to tell my wife I’ll miss her” before he lost consciousness. Another officer and a citizen carried Sergeant Liczbinski to a patrol car and transported him to Temple University Hospital where he died from his wounds. The third Philadelphia police officer to be shot and killed in the past two years, Sergeant Liczbinski was assigned to the 24th District and would have turned 40 on May 6th. He leaves behind his wife and three children. A deadly week for Line of Duty deaths continued with the motor vehicle death of Special Agent Aaron Garcia of the Union Pacific Railroad Police Department on Wednesday, May 7th. Special Agent Garcia, a 2-1/2 year veteran of his department, was killed in a single vehicle accident in Mecca, a small town south of Palm Springs, California while on patrol shortly before 12:30 a.m. Agent Garcia, age 39, leaves behind his wife and children. Please keep the families and Departments of these brave men in your thoughts and prayers as you have for the others who have gone before them. Its really bad news.I am feeling upset now.I want glorious future of their wifes and children. Very sad. This happens way to often. The story about the Philly cop is heartbreaking. Too many, Linda. Your posts bring their loss to us. These stories are all so sad, and always difficult to read. You are to be commended for honoring these fallen heroes. My sincere condolences to the families left behind, and my thanks to the officers for their service. 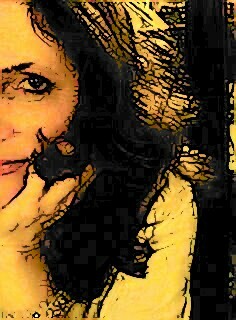 So very very sad. Unbelievably so. Thanks for honoring them, Linda. I know their families appreciate it.